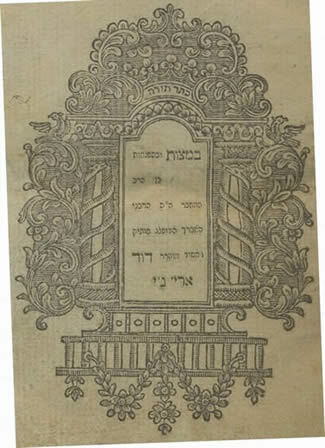 Mishne Torah by the Rambam Berdichev (1809). 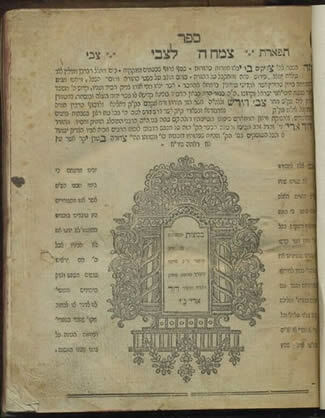 The following is the third volume from the Rambam which was printed in Berdichev. 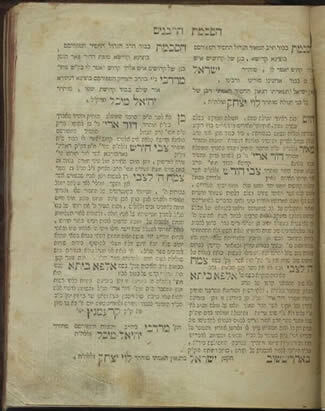 In the first volume of this set Rabbi Levi Itzchak from Berdichev’s approval appears for the publication. The book consists of 390 pages (780 page sides). 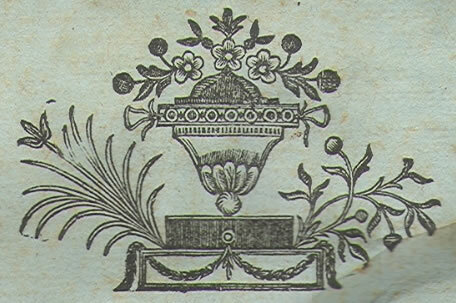 An ancient owner signature appears upon the title page of the book. The book is in original binding. 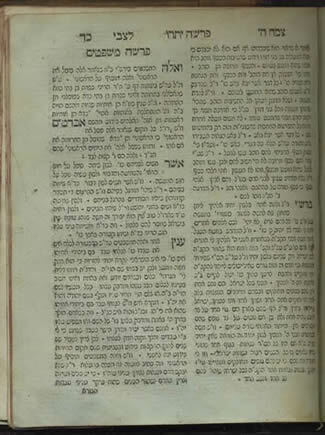 Commentary on the Torah according to ‘pshat’, ‘drush’, and chassidut, authored by Rabbi Tzvi Hirsh, Maggid Meisharim in Dalina and Nidvorno. Berdichev , at Yisrael Bak press. First edition. . 28, 138 leaves. 21 cm. excellent condition. Blue paper. Title page with impressive decoration. With the approbations of Rabbi Yisrael of Pikov, son of Rabbi Levi Yitzchak of Berdichev, Rabbi Mordechal of Kramnitz son of Rabbi Yechiel Michel of Zoltshov, and Rabbi Efraim Zalman Margaliot of Brodt. 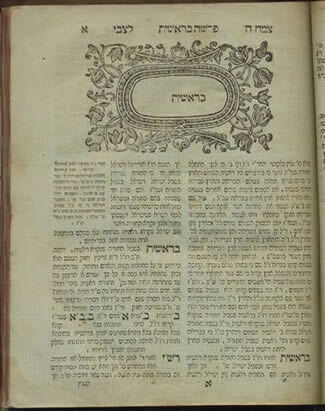 The approbation of Rabbi Efraim Zalman Margaliot is printed on leaf  with the book’s omissions’. This leaf is missing from many copies. however it is in this popy. 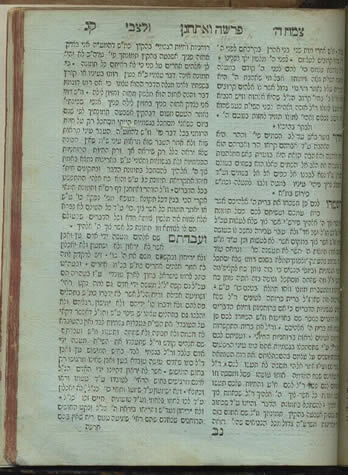 The author was one of the most important students of the Maggid Rabbi Duber of Mezritich and Rabbi Yichiel Michel of Zoltshov. He was one of the important teachers who dispersed chassidut in Galicia and his students included Rabbi Menached Mendel of Kossov and Rabbi Tzvi Hirsh of Zidichov. 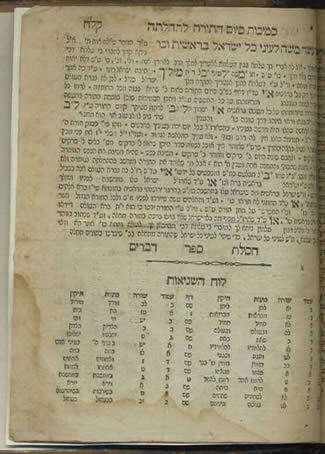 This book was printed at the press of Yisrael Bak in Berdichev before he immigrated to Eretz Yisrael. Vinograd, Berdichev 74.